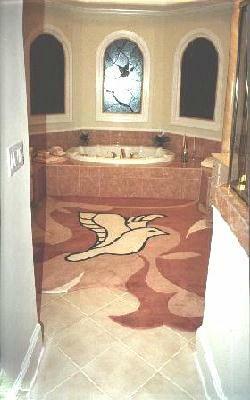 This is only one example of what a custom rug can do for your home. See the dramatic difference between before and after. 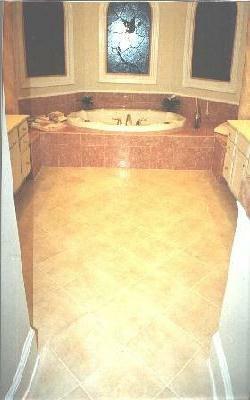 This particular design came from the stain-glass window. Coordinate your own space with one of our hand-made custom rugs made exclusively for you. Before purchasing please consider we are not responsible or liable for your application or installation of these products. 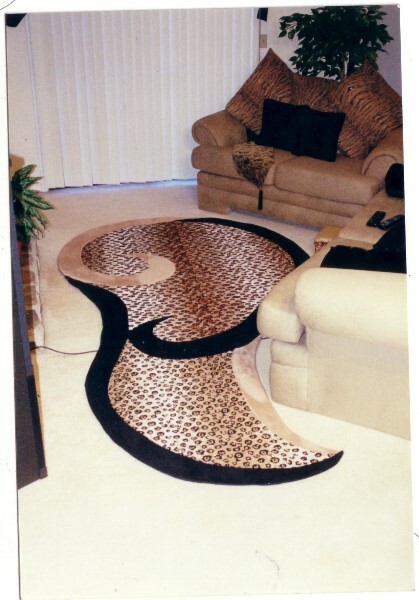 Custom rugs are elevated from the floor and it is your responsibility not to endanger others or yourself by creating a dangerous tripping area. 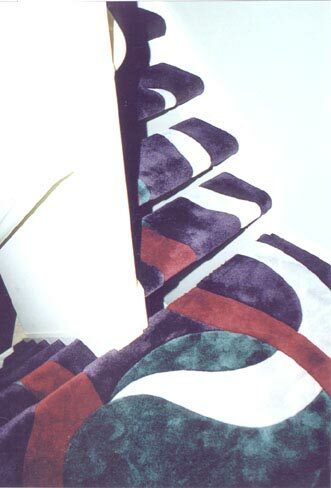 Also we do not manufacture the carpet or adhesives we use in handcrafting custom rugs. We can furnish you with a list of the products we use and the manufactures name and address so you can determine their safety. Again we are not responsible for products we do not manufacture. 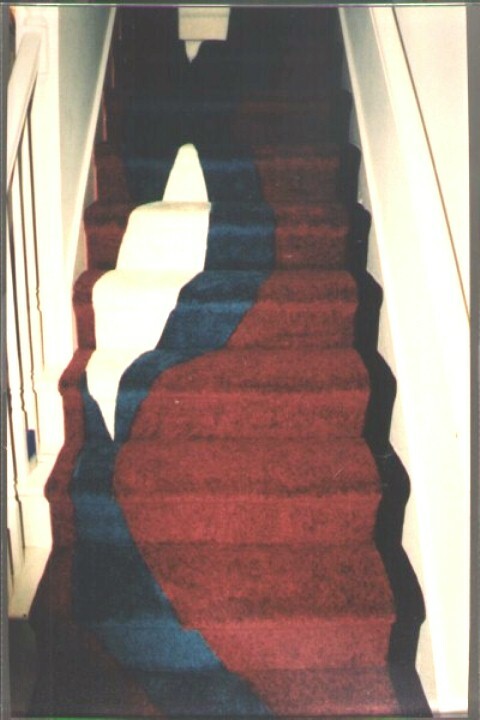 Small rugs can slide on smooth surfaces, so we suggest you use a non skid underlay or a safe method of stabilization as again we are not responsible for your application and/or installation. We will try to answer any question you may have.